The LANDFIRE Program strives to produce consistent fire behavior fuel model grids for the U.S. These models are relevant for predicting fire behavior, including spread and intensity, during average conditions; however, they often fall short during drought or seasonably dry conditions. To address the need for that information, LANDFIRE developed a seasonal product named the Modeling Dynamic-Fuels with an Index System (MoD-FIS). These provisional products have been released for the Southwest and Great Basin regions, and are ready for testing and review by those who use LANDFIRE data. In this webinar, Charley Martin and Tobin Smail offer a MoD-FIS primer, explain how the products can be used in these regions, and solicit users’ input and review. This webinar was co-hosted by LANDFIRE and members of the Joint Fire Science Program: Great Basin Fire Science, Southwest Fire Science, and Northern Rockies Fire Science. 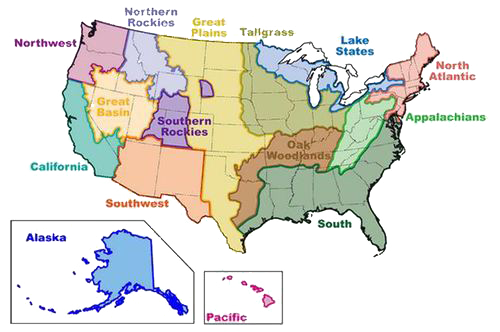 Content addresses challenges that managers of large landscapes deal with in these regions.